About 300 gorillas are killed for meat each year in Congo, the home of the Eastern gorilla, according to an investigation by the Endangered Species International nonprofit in 2009, BBC reported. Considering the apes only have babies every 3 or 4 years, even small-scale hunting can decimate the population. Moreover, Eastern gorillas live in Eastern Congo, an area scourged by Islamic terrorists like the Allied Democratic Forces and other militias. Just last month, on Aug. 14, at least 64 were killed in an attack blamed on the Allied Democratic Forces in Beni, a city in Virunga National Park. The park provides home to a major share of the rare Mountain gorillas, one of two subspecies of Eastern gorilla. 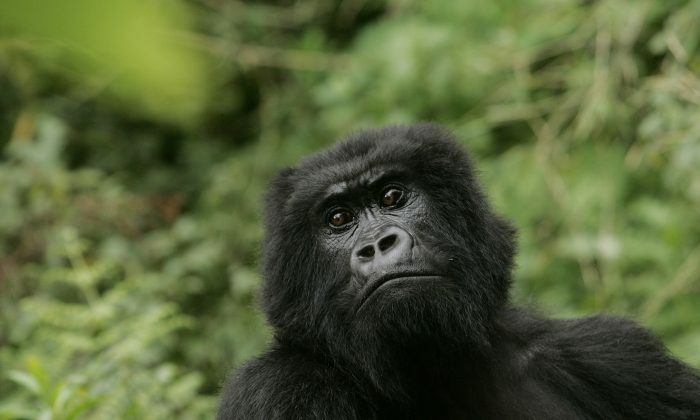 There are fewer than 900 Mountain gorillas left. Under such conditions, conservation will be a struggle, said primatologist Russell Mittermeier, executive vice chairman of the Conservation International environmental group and chairman of IUCN’s primates specialist group. “There are no simple solutions right now, other than a much greater investment in on-the-ground protection until the region stabilizes, at which time major ecotourism, as is happening in the neighboring countries of Uganda and Rwanda, can take place,” Mittermeier said, according to The Associated Press. In the past, conservation has been a lesser concern for the Democratic Republic of the Congo, as a civil war in the region claimed, directly or indirectly, an estimated 5 million human lives. Since the mid-1990s, at least 190 park rangers have been killed trying to protect the gorillas, according to a 2010 United Nations Environment Programme report. Gorillas are divided into two species—Eastern and Western gorillas. Each has two subspecies and all are now critically endangered. Western Lowland gorillas boast the largest population of over 100,000. The Cross River gorilla only has 200 to 300 individuals left. The Eastern Lowland gorilla has a population of fewer than 4,000. Mountain gorillas have fewer than 900 left. Beside poaching, the apes are also threatened by deforestation and Ebola outbreaks.